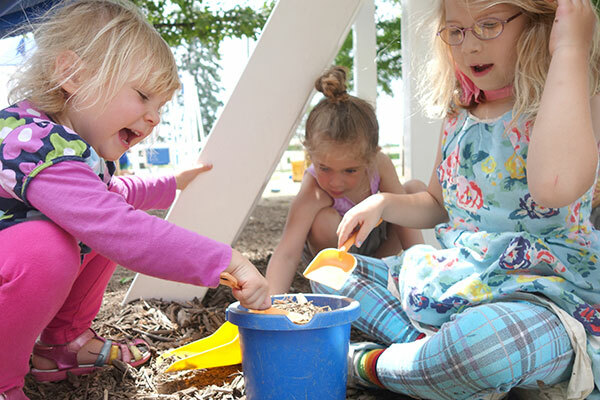 We work hard to ensure each child’s first school experience is a positive foundation for a lifetime of learning. A 4-to-1 student-to-teacher ratio allows teachers to provide informed support, advice, encouragement, and affection. 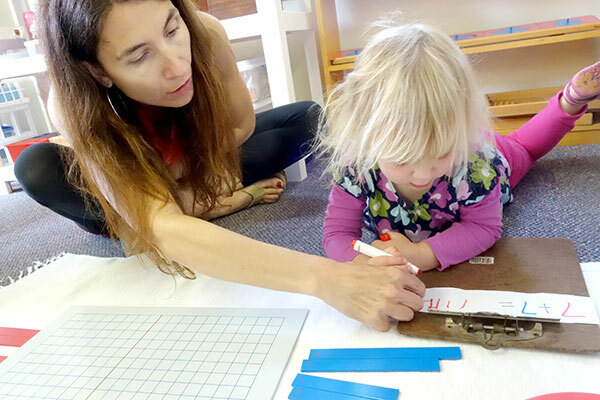 Each child’s day consists of one-on-one lessons with a teacher in addition to an art project and self-directed learning intended to build empowerment and independence. Each day also includes Circle Time (with singing and movement, story time, and show and tell), three outside play times, two snacks, lunch, and a (much-needed) nap. Pre-Primary meets either three or five days a week from 8:30-3:30 and is limited to 12 children. 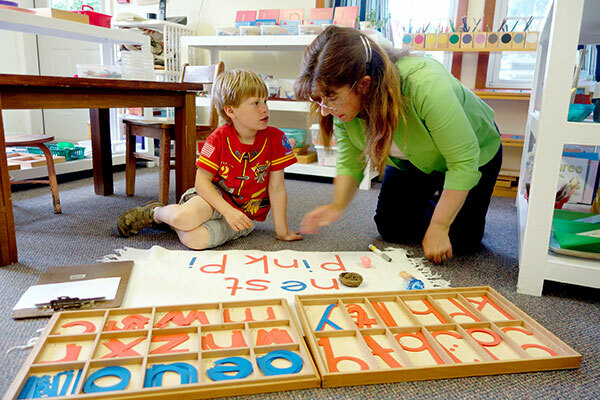 A deliberate balance of early learners and kindergarten students, the Primary classroom is the ideal environment for developing the basics of reading, writing, and practical life skills, as well as such intangibles as confidence, independence, and teamwork. Students devote several hours each day to independent learning and one-on-one work with teachers. There is an optional daily art project and a group gathering with teacher-led lessons. Throughout the day, teachers observe and record student progress, creating an ever-evolving and highly individualized learning plan catered to each child’s intellectual progress and personal development. On average, there are twenty students and three teachers in the Primary classroom. Children must be potty trained to enroll.